Many of the people here worry about what life is, but maybe in a slightly more general way, not just ribosomes, but inorganic life. Would we know it if we saw it? It's important as we go and discover other worlds, as we start creating more complicated robots, and so forth, to know, where do we draw the line? I think that's interesting. And then finally — that's kind of generalizational life, at a basic level — but 4) the kind of life that we are particularly enamored of — partly because of egocentricity, but also for very philosophical reasons — is intelligent life. But how do we talk about that? As a scientific discipline, many people have casually dismissed Intelligent Design without carefully defining what they mean by intelligence or what they mean by design. Science and math have long histories of proving things, and not just accepting intuition — Fermat's last theorem was not proven until it was proven. And I think we're in a similar space with intelligent design. What Freeman suggests is that we are moving into a phase which is different, not only in that it's like?Web 2.0 where we're all sharing all of our parts like we used to, but maybe more fundamentally, we're moving into intelligent design big-time, and we need to understand what that means, and what we should be designing. In terms of utility: people might have huge disagreements about even within a religion as to the right thing to do. You might say, thou shalt not kill, or the same person a few days later might say you must kill — you must kill a lot of people. What might we all agree on? Well, we might agree on that it's not a good idea to wipe out the entire intelligent species in the universe. Even if you believe in the afterlife. Then you might say, well, we shouldn't kill off the afterlife. There's some basic thing that we like, and it has to do with complexity, and what we mean by intelligence. We'd like to preserve that somehow, and I apologize for that being fairly philosophical, but when we start to construct life — maybe not create it, as Craig has carefully pointed out — what is it we're trying to do? We're trying to make things that are more complex — but it's not just complex, you take a rock: essentially quite complex; if you take a leaf, it's complex in a different way. Take that leaf and then rearrange all its atoms so it's just a bunch of salts in a rock — ammonium carbonate, and silicon dioxide, and potassium phosphate, and sodium sulfate — it's the same atoms but in a form that a mineralogist would recognize. The mineral is still quite complex — if you wanted to transmit over the Internet the structure of that mineral, it would take a lot of bits. Both Shannon's theory and chemical entropy would say that's a very complicated thing. But what we mean by a living complexity is more like, you've taken something very rare like that mineral, made almost an exact copy of it, and that's replicated complexity. This very unlikely object isn't really any more unlikely than another rock because they're kind of random — their compositional nature is known. But if you made an exact copy of that rock, or nearly an exact one, that would be interesting. That would be indicative that there's some sort of living process, some living thing was involved. It could have been some 3-D photocopier, but that 3-D photocopier was probably made by an intelligent being. It could be that the rock had the ability to replicate. That's what we mean when we're talking about basic life. And that's sort of what we're trying to get at when we're doing synthetic biology; we're trying to increase diversity, increase replicated complexity, and maintain our ability to continue to do that for many many years, and we don't want to endanger that by doing something that's too risky. LLOYD: Are you imputing that there's a virtue in increased complexity somehow? CHURCH: I'm trying to make that argument. There might be a virtue in carefully contemplating not just short-term diversity, but longish-term, to the extent that we can calculate that, which we can't right now. But it's desirable to be able to calculate that as well as we can, and I'll just take a leap at defining intelligence, too, while we're in dangerous territories here for me. There's analytic intelligence and synthetic. And I would argue that life is sort of this replicated complexity, or mutual information, where given the molecules in this leaf we can predict the arrangement of structures in the other leaf. In other words, we know a lot about this thing — even within the leaf there's replicated complexity that is somewhat predictable — and so that mapping, that mutual information, is predictive life in general. But the mutual information is something where one structure will reflect the structure of something at a distance — especially if you can reflect something distant in time without actually causing it. Intelligence is anticipating things in the future, without causing them. That would be analytic intelligence. Again, it's replicated complexity — or mutual information, even better — where there's a relationship between the two locations, but you anticipate. That's analytic. Synthetic's harder, because if you synthesize something you've used your analytic intelligence to make a plan and then make a replicated complexity of some sort at a distance, but you've done it. There's a cause and effect. And how do you distinguish between that and, say, the sun having patterned light onto the earth, and that has a cause and effect which isn't necessarily what we would recognize as intelligence. I'm still struggling with this, but I think synthetic intelligence would be something that in some way or another would enhance the analytic intelligence — the ability of ours to predict what's going to happen in the future. So we synthesize something that will increase our ability to, say, survive as a species, to get off the planet because we know an asteroid is coming ? Various things that we would recognize as long-term intelligent behavior. Something we need to embrace is our ability to do that. And it might be inorganic life that does that, in the form of computers, or maybe some hybrid. I'll come back down to earth a little more and talk about synthetic biology, but part of getting at intelligence is assaying what kind of intelligence is already on the planet. And what's really remarkable is, we're still far ahead of our computers in that we have 6.5 billion geniuses on the planet. Some of them are undernourished, some of them are undereducated, but there really aren't any computers that are comparable to people — to brains — so far. That may not last forever, but it's certainly true now. We need to assess that diversity and not cure it — as we get better at personalized medicine, the goal is not to cure our diversity, but to enable it — to make it so we can all enjoy our lives and contribute to all the other things we've been talking about today. Personal genomics is getting into the analytic phase of figuring out what we all are capable of; synthetic biology is still very primitive. We're interested in useful things, like making fuels. Craig already set this up: if we're going to burn carbon, of which there are vast amounts in the earth, we might want to have some way of recovering that carbon and maybe burning it again. If we run out of petroleum, it's not only useful as a fuel for cars, trucks, and planes, but it's also the source of a lot our constructive plastics. We need a replacement for petroleum, at least in the short term. By short term we may be talking about 30 years, and for most of us that's pretty long-term. One of the companies I have founded is called LS9 in California, and they are making synthetic petroleum as an example of what you can do with synthetic biology. Hydrocarbons, which are compatible with current engines — cars, diesels and jets — rather than requiring a new infrastructural change, and that's basically metabolic engineering and exchanging DNA from many organisms just like Freeman said — not just one gene at a time, but whole systems, whole metabolic systems, and using what we know to expedite that. Another company I've been involved in is called Codon Devices and it makes the DNA for companies like LS9. They have a capacity of about two million base pairs of very highly polished DNA per month, which goes out to many biotech pharmaceutical companies. It's not making whole genomes, or whole chromosomes, like Craig is talking about, but it has the capacity to make several such genomes per month. And it is important to have this, and to have it regulated. As we started my part of this conversation, I really think that's important, and Codon Devices is joined with about a dozen other companies to increase their ability monitor DNA synthesis worldwide. I started this with a white paper many years ago, tried to bring government attention to this, and it became clear that the government isn't going to act unless it's sure that industry isn't going to be hurt. It isn't always a formula that will work — but if industry can get its act together and do it voluntarily — it's not really self-monitoring, it's just trying to get something going — then governments can point to it and say, oh, that's already working, they're sharing resources, so the cost of software is distributed, the cost of monitoring local regulations is distributed, and then the government can say, okay, we'll make the law. At which point internationally they can say, many governments are acting; we can make international law. I hope that's the way that these things work out. That's synthetic biology, making biofuels, helping improve stem cell biology; you don't necessarily have to start with a germ line if you can change people's soma. That may be less risky, it may allow you to do more rapid prototyping and alleviate people's concerns. The germ line is a very special set of concerns, and there's quite a bit you can do — there's actually more you can do in a way — because predicting what somebody's going to be like from a fertilized egg is very hard, but predicting what they're going to be like once they're 30 years old is actually quite a bit easier. It's not really prediction, it's just observation. It may be harder to fix, but at least you'll develop tools and you'll be more cautious. There's a great deal of progress there, with now being able to establish more pluripotent cells from, say, mammalian skin cells, which will enable synthetic biology to move in that direction. And there's even some projects that we're working on as part of the NSF-funded project with Berkeley, USCF, and MIT, to engineer bacterial cells that are compatible with mammalian immune systems so they can motor around inside your blood stream and do sensing and actuating. For example, they will hone to tumors, they will sense their presence (there will be a thousand times higher concentration near a tumor) — all the parts of this are working, but the whole is not working — and they'll sense that they're there, they'll invade the cell by expressing an invasive protein, and then inside the cell they will make a drug that will destroy the tumor cell. That kind of capability of working well within a mammalian immune system can range from using your own cells that are perfectly immune-compatible to using these engineered bacterial cells. There are many other things I could say, but they could be more easily said in the context of questioning. Hopefully I've brought up enough provocative points for you to ask interesting questions. BROCKMAN: How is you work different that Craig's? CHURCH: Well, he's much more productive. VENTER: I use George's techniques. CHURCH: There, isn't that sweet of him? We develop technology for the most part. Usually we try to enable other groups to do production, so I'll start a company or I'll work with some genome centers to get our sequencing or synthesis technologies to work. From a synthetic standpoint, the major difference is that Craig is a little more interested in making a synthetic genome from scratch; we're mainly interested in making variations on genomes, although I'm sure both of us would be comfortable doing the other one as well. He mentioned making combinatorial a million chromosomes, well, for instance, we do that, we do lab evolution, and we make millions of chromosomes that go into competition with one another. You either do it by recombining every base pair, spontaneously, in which case you can get only one mutation at a time—we've gotten up to 3 or 4 mutations serially in that way—or we can do site-directed mutagenesis. We have a new automated method of doing that where we can get a series of 23 mutations in 9 days, where previously, one at a time, up to 3, took hundreds of days. One thing that is interesting that I didn't mention — and Craig was kind of getting at, whether we're building things up from atoms, and Bob Shapiro mentioned chirality — is we are trying to make a mirror image biological world starting with DNA polymerase, and that does in a certain sense require starting at a much more fundamental level than synthetic biologists usually do. Synthetic biologists in our classes will PCR genes up by the cells — that's very dependent on life. Craig and I will synthesize genes from nucleotides — that's basically just dependent on knowledge, and a few chiral centers, but if you actually flip the chirality, now you're really closer to dealing with atoms. LLOYD: Do you do this for safety reasons? CHURCH: That's right, Seth: for every one of these things, we should ask why we're doing this, okay. Why we're doing molecules is obvious. Why we're doing stem cells and pharmaceuticals is obvious. We're changing the genetic code in the normal chirality for safety reasons, and to extend the number of amino acids. A chirality, you could do the same thing, in each of these cases you have to disable it in some way, because changing the chirality makes it incompatible to the rest of the world, but that can make it more or a threat or less of a threat depending on what other things you do. It could be more of a threat because now not only is it resistant to phages it's resistant to enzymes, like proteases and ribonucleases, and at least existing antibodies. Now if you put in a mirror image cell, you would get new antibodies and that's not a problem. The other reason we're interested in it, aside from safety, which is always something we're interested in and a major theme in synthetic biology and Codon Devices, is, let's say you can evolve DNA and RNA molecules that will bind to your favorite thing. In a certain sense this is morphogenesis from scratch: you make a completely random selection of polynucleotides and you can get some that will bind your favorite surface or molecule. In a way you didn't define that surface, you found it, in a random collection. That's getting close to what we'd like to get. But when you use those in a practical setting, they get degraded by biological fluids. But if you made the mirror-image form of it — and since you're starting from scratch, you don't have any preconceived rules, you're just evolving by selection of binding — you can start with a mirror-image nucleic acid set, a library containing trillions of molecules, and you'll find something that binds your favorite molecule and is resistant to the enzymes. That's one motivation for the first thing we're making, which is DNA polymerase. We want to be able to mirror image PCR, polymerase chain reaction, where you can amplify up DNA with a mirror-image polymerase. A post-doc has gone through a prototype polymerase which is for a medium size — 353 amino acids long — and he's made all but four of the peptide bonds now. So we're very close to getting that first polymerase. The mirror image nucleotide part is actually fairly simple because you can use the same machines to make mirror image DNA. The peptide synthesis machines are much more primitive than the DNA synthesis machines, so a lot of this is done currently by hand. But the goal then so we can make mirror image DNA is to make mirror image proteins, and there we have to make all of the ribosome from scratch, and so we wouldn't make all the ribosome just for fun, but this is something that we think is useful. And that's about 25 times more bonds to be made than just making the DNA polymerase. But, as Craig will greatly attest, scaling up by a factor of 25 is not that big a deal. In the genome project we went basically a hundred thousand fold scale-up from where we were at the time we started. And now we're talking about doing many many genomes. I think we will be able to make a mirror image DNA polymerase and ribosome, in which case you can start programming it straight from the computer. Once you have it all you can start making mirror-image proteins. VENTER: There's the big assumption that the mirror image of all these things will have the same activity. CHURCH: Will have the mirror activity. VENTER: Will have the mirror activity on the other chiral molecules. Is there any evidence for that? CHURCH: There is, a little bit. I wish there weren't. Then we could get all the glory — but I think the HIV protease has been made in mirror form and has been shown to be inhibited by things that are in the mirror form. Very small things have been made — and crystallography has shown that the mirror image polymers — they make up the mirror-image monomer; the mirror-image polymer is flipped. Almost every time I mention this there's a subset of people who feel that it couldn't be otherwise, and there's a subset that say, Prove it. I'm happy either way. SASSELOV: That brings me to a question here. It seems like when you talk about synthetic biology, you feel that in the next few years things will evolve to what Craig called "life from scratch". Do you think there will be a clear watershed along the way, or will it really get there incrementally? CHURCH: Well almost certainly it's going to be incremental. There'll be many milestones. Certainly Craig's article in Science "Transplantation", was a milestone. When he does it with synthetics, that will be one. Another will occur if we manage to get synthetic ribosomes that are in a chiral form. There'll be many milestones, but every one of them you can trace to something incrementally similar in the recent past. SASSELOV: But you feel there is not one big gap, which needs to be crossed and then you are there. VENTER: The gap of taking inanimate objects and not starting with life and getting life from it is a hurdle that when crossed — it's inevitable that it will be crossed, and relatively soon, somewhere, but intellectually it's not a gap, but I think until it's done it's a big conceptual gap to society. CHURCH: That's almost philosophical, whether you've got the atom from carbon dioxide or whether you got it from Ribose, but I see most of the gaps as practical ones. This field will go faster the more useful it is, and people will resist it less the higher the benefit-to-cost and risk ratio. Most people accept evolution, even creationists accept microevolution. If we start getting macroevolution in the lab, then they'll accept the macroevolution to whatever extent it is useful and obvious. If it's not demonstrated in the lab then you might reasonably say 'I don't care', or, 'Prove it'. The scientists should be saying, ‘Prove it.' 'Do it in the lab.' Now some things you argue can't be, but I actually think macro-evolution is something that might be possible — were certainly doing micro-evolution big-time — a lot of companies now depend on pretty amazing changes in the structure — you could argue though that they all have intelligent design somewhere in the process, but I think the less intelligent the design and the more macro the evolution, the more people will accept it as acceptable. BROCKMAN: Can you talk about Bio-Fab Labs and their self-replicating nature — in terms of the discussion about fooling around with the human genome and playing God? CHURCH: Craig pointed out that some religions think that humans should do technology, whether you want to call it playing God or working at it, or — you're certainly not creating a universe. You're constructing things. VENTER: You're only so big. CHURCH: Pretty small. Pretty small. So you know, Bio-Fab Labs are very much a continuation of all the other engineering disciplines — civil engineering, electrical engineering, mechanical engineering, chemical engineering. Ironically, genetic engineering was really not what most engineers would recognize as an engineering discipline when the term was coined. They do recognize, or they are part of, the revolution that's now finally making it an engineering discipline, with interchangeable parts, hierarchical design, interoperable systems, specification sheets, that kind of stuff. Stuff that only an engineer could love. BROCKMAN: What is the difference between Neil Gershenfeld's Fab Lab and your Bio-Fab Labs. CHURCH: I was just at the annual meeting of the Fab Labs of the world, that Neil Gershenfeld organized in Chicago, and I did make that comparison. On the plus side, the current generation of Fab Labs interoperate well with computers, while biology basically doesn't — with the exception of what Craig and I have been talking about. Take native biology. It's very hard to stick a WiFi onto a corn plant. While in Fab Lab it's all about that, interacting. On the positive side, despite some efforts, there is no inorganic or non-life technology, despite very sophisticated Fab Labs, capable of making itself. A Fab Lab can't make itself without a huge amount of human intervention, which is something that the most elementary bacterium can do. And even with human intervention there's not some compact Fab Lab; it's something that's spread out over continents — there'll be one place that makes the integrated circuits, another place that makes the nice steel bars that you use, another place that turns petroleum into plastic, and so forth. It's not an obsession with them, but something that Fab Labs toy with is making a compact desktop device that could make copies of itself. They, to some extent like us, want to have an open source environment. They already do this in the Fab Labs — they'll send over the Internet plans for making a chair, or a house, and they'll make it, in another country, without actually physically transferring a person or a device. That's very exciting and something that we share in common. PRESS: It sounds like the kinds of tools you're talking about can also be very useful for actually doing some sort of hard experimentation, or at least testing different theories of the origin of life. Not starting from the bottom up, you can at least approach it from the top down and sort of pick apart the different models — is that a direction that you're involved in, or are the people using your tools doing that? CHURCH: I'm a little more interested in the future than the past — but I don't dismiss it either. For example, on the top of Freeman's wish list was ribosome archaeology. And Dimitar asked, Is there a milestone that we think is significant. The ribosome, both looking at the past and at the future, is a very significant structure — it's the most complicated thing that is present in all organisms. Craig does comparative genomics, and you find that almost the only thing that's in common across all organisms is the ribosome. And it's recognizable; it's highly conserved. So the question is, how did that thing come to be? And if I were to be an intelligent design defender, that's what I would focus on; how did the ribosome come to be? VENTER: You need to improve DNA synthesis a little bit more so that it's 3 or 4 orders of magnitude faster. Then you can make a seemingly infinite pool of nucleotides and start to get — to me the key thing about Darwinian evolution is selection. Biology is a hundred percent dependent on selection. No matter what we do in synthetic biology, synthetic genomes, we're doing selection. It's just not natural selection any more. It's intelligently designed selection, so it's a unique subset. But selection is always part of it. We're not that far away from being able to do these experiments. It's very hard to do now, because nobody would spend the money to make all these different related molecules to see if we can get spontaneous ribosome formation, but within a decade it will be doable. LLOYD: I would be a little bit worried. If I look at Freeman's two steps that precede formation of ribosomes, ribosome is step three, with collaboration and intervention of the ribosome and you have these two steps prior to that. Before is the parasitic stage and use of ATP, and then prior to that just the kind of garbage bags on their own. There could have been a lot of events of natural selection going on to get to the stage — it could be a very very very long process, with Avogadro’s number of events. There are not enough graduate student lifetimes in the world, even with lots of private money invested in it to actually try to explore all those. Even if life just happened here on Earth, it is something that happened globally, and it went on for quite a long time. I'm saying this is a positive sense — the fact that you can't do this in the lab, even though people who do intelligent design will say, 'ah ha, see, irreducible complexity' — it might in fact be that it was very complex in the sense of requiring a long and complicated process or computation to arrive at. CHURCH: What we can do in the lab, though, is to reconstruct intermediates and characterize them and say, okay, here's something we found valuable in the lab that has fewer proteins, a slightly different reaction — and make a plausible time line to say, okay, given that there were 10^44 water molecules on this planet and we can't reconstruct that in the lab, and we can't use the water molecules on the planet to do a *BR lab*, maybe there was a fairly small number of environments that actually did the trick and if we construct intermediates that are kind of convincing, then we could do small pieces of that pathway in lab time frames. LLOYD: Well that would certainly be my hope. I'm just saying that that's a hope. VENTER: But the power of selection can give you at least 7 to 8 orders of magnitude of selectivity. LLOYD: Sure, absolutely — it's definitely worth doing, absolutely, yes. VENTER: That's what came out of the phi X work: you can make ten to the 6, 10^7 different molecules out of the assembly, and if they're viable you'll select them. CHURCH: But Seth was saying that if we try to do the whole process, from primordial soup to ribosomes, we haven't got 10^8 leaders times 10^9 years to do it. LLOYD: You're trying to reproduce this metabolic phase that Freeman was talking about, and in some sense once you're already at the digital phase, as you yourself said, life is not just genes, it's the machinery required to take those genes and then reproduce them, which means viruses and cells, and somehow monkeying with the program might be easier than creating viable new programs from analogs of things that are out there. This seems to me potentially easier than trying to construct this process that led up to ribosome where you don't even know what it was at all in the first place. DYSON: You have to look for something that components of ribosomes might have done in order to evolve. LLOYD: Right — there's the example of rhodopsin that you came up with, which provides an inspiring example. It could easily be that the rhodopsin showed up as an earlier version of photosynthesis — less efficient, but hey, still good for harvesting energy — and then only later, oh, look, it also could be used as a sensor — discovered by natural selection. Somehow natural selection is full of all these tricky little switches, which makes it very hard to trace back what happened. VENTER: Well, we can trace back to where it switched from light to chemicals, and became the key driver of nervous systems. LLOYD: Actually, Bob, I'd be interested in what do you think if you had to bet on the success of this particular venture of trying to recreate a ribosome from scratch — trying to come up with a pathway. SHAPIRO: You can synthesize in the laboratory a ribosome from scratch, undoubtedly. CHURCH: You mean evolve a ribosome? VENTER: We have synthetic ribosomes in our lab, they're just not totally efficient right now. We didn't design them; we're copying the design. SHAPIRO: What I would say, and Freeman is probably in my camp, but I hear as I listen around the table example after example of what I call DNA-centric thinking. Of equating life with DNA. My problem is I know too much about DNA, I spent my life in DNA chemistry, and to me it looks like a highly evolved organism. Life started without DNA, without RNA, and undoubtedly without proteins, and was yet alive. And in fact it's the same error that was made when microbiologists only characterized what they could clone up may be made by only identifying what's alive by looking at its DNA content, because you may then be missing things that are alive but lack DNA. Life undoubtedly had to start with what nature gave us and there's a different approach, which is called the bottom-up approach, where you try to use physical principles and ask what would what we would regard as inanimate matter do when subjected to an appropriate environment and some liberal supply of free energy, and what combinations of those might actually work to kick off the living process. Now we're an example of one very successful conclusion of the living process but not necessarily the only example, nor need life necessarily have our exact set of components. There's famous set of experiments from about ten years ago when Albert Eschenmoser, a brilliant Swiss synthetic chemist, set out to prove why nature had a select DNA. With enormous Swiss skill and manpower he set students out to make DNA-like molecules using different sugars, one after the other, expecting that in every instance he would fail. But in fact he succeeded and he found that different sugars in many cases was superior to DNA. They had greater stability; they had fewer complications in replication. I thought that he would arrange to have the Swiss government declare that from now on every Swiss life form would adapt his symbiosis and dispense with DNA as quickly as possible. There's PAN, and someone else came up with TNA — there's endless ones — and so to me DNA is probably what evolution stumbled upon through accident, and it's the easiest thing that could be come upon by slow trial and error that would make a molecule that could be replicated by proteins and that's how it came into being. Now to me, first as an imagination experiment but ultimately in laboratory experiments would be to try and see where else starting from simple chemicals and energy, you might go in the direction of evolution. 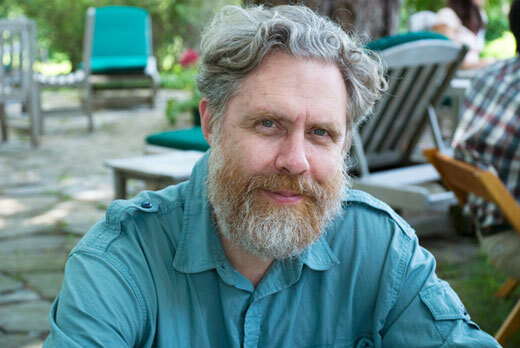 George Church&mdash; LIFE: WHAT A CONCEPT!